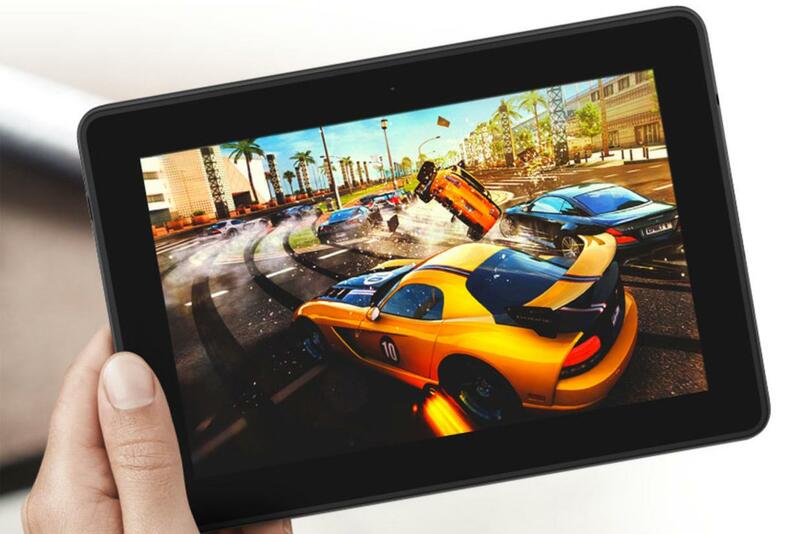 Check out our review of the Amazon Kindle Fire HDX tablet. Amazon didn’t hold a press conference to unveil its new Kindle Fire HDX lineup, but it should have. The new tablets have some really cool new features that set them apart from the pack. And they still start at only $230. Amazon’s new Mayday feature could be one helluva selling point for the Kindle Fire HDX. You and I probably won’t need it, dear reader, because if you’re reading this, you’re far more likely to know tech a little more than your peers. But for your mom, your non-techy friend, and the millions of other people who buy tablets but don’t necessarily know how to make the most of them, this feature could be a godsend. Honestly, it should be something that comes with every phone, tablet, computer, and gadget. Kindle Fire’s Mayday feature takes Apple’s Genius Bar idea to the next level. If you pull down the options menu of the HDX, you can see a button that looks like a round life saver (not the candy) with the word “Mayday” on it. Tap this button and a video window will pop up and an Amazon tech support person will answer and help you through your problems 24 hours a day, seven days a week. You can see the tech support person, and they can hear, but not see, you. They can help you verbally, draw on your screen, or even take over your tablet (if you let them) to help solve problems. The best news is that it’s completely free. You don’t even have to sign up for Amazon Prime. We have no idea if, or how well, this service will work, but the idea is fantastic. Not only will it save you some calls for help from your friends and family, it has the potential to really broaden everyone’s knowledge on how to use the Kindle Fire HDX. It takes Apple’s Genius Bar idea to the next level and should really help Amazon build a strong tech support reputation and more loyal customers. It’s also one great reason to choose a Kindle Fire HDX over competing tablets like the Nexus 7 and iPad Mini. If other manufacturers copy Amazon’s Mayday feature, and it becomes an industry standard, everyone will be better off for it. It’s easy to buy a tablet, but learning how to use it is not always a piece of cake. This is the kind of subtle, but game-changing feature we normally expect out of Apple. It’s great to see Amazon stepping up to the plate. Streaming video services like Netflix, Hulu, and Amazon Prime are fantastic, but they have a major weakness: you can’t watch video if you aren’t connected to Wi-Fi. Tablets are built to be taken on the move, but most of them only come with Wi-Fi connections, and most of the services we use are reliant on a constant Internet connection. Amazon is the first streaming provider to change the rules. 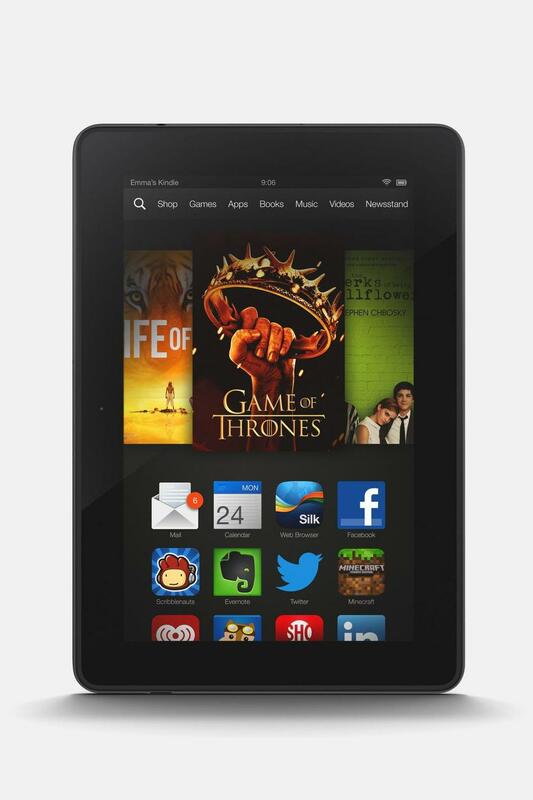 Owners of the Kindle Fire HDX will be able to download offline copies of any Amazon Prime videos. We’re hoping that this feature will work better than downloading purchased Amazon Instant Video on the iPad (it takes forever), but we applaud it either way. You can keep offline copies of a TV show or movie for up to 30 days. And once you start watching it, you have 48 hours to finish. New Kindle owners will get a month of Amazon Prime for free, which also includes free two-day shipping on select items and Kindle Library Lending – a feature that lets you borrow a book a month for free. Prime costs $79 a year. For those who wrote off Prime video a while ago, it might be worth checking out again. It has some good exclusive shows like Under the Dome, Downton Abbey, Justified, and many more. There is an Amazon Instant Video app for iPhone and iPad, but not one for Android devices, yet. Chromecast is popular because it’s a cheap way to get video from your phone, tablet, or computer to your TV. Getting your TV to display the Internet programs you want, easily, is one of tech’s biggest challenges today, and Amazon is jumping into the ring. It won’t be available at launch, but soon after, an app called Second Screen will become available on PlayStation 3, PlayStation 4, and Samsung Smart TVs. Hopefully broader support will come in the future. Second Screen will let you use your TV as your primary screen for Kindle Fire HDX video, allowing your tablet to be used to see secondary information. A new X-Ray feature connects to IMDB to let you tap characters onscreen to view more information about them and browse what films they’ve been in before. This is reminiscent of how Amazon’s Wii U video app works. It uses the screen in the Wii U GamePad to view actors and show information from IMDB. Though the Kindle Fire HDX and HDX 8.9 will still be hampered by Amazon’s limited Appstore app selection, for the first time, it looks like it will be a fantastic deal at its $230 selling point. Previous Kindle Fire devices have been a little sluggish and underpowered. CEO Jeff Bezos said this is because Amazon isn’t making any profit on the HDX. “We make money when people use our devices, not when they buy our devices,” said Bezos in an interview with NBC News. You can tell. The Fire HDX 7-inch tablet will have a Retina-level 1920 x 1200 pixel screen, 2.2GHz quad-core Snapdragon 800 processor, Adreno 330 graphics processor, 16GB of internal storage (you can upgrade to 32/64GB), and 2GB of RAM. It’s also 9mm thin, weighs only 12oz, and Amazon claims it will get 11 hours of battery life – better than the iPad. We look forward to checking out the Kindle Fire HDX when it becomes available on October 18, but if you’re particularly gun-ho already, you can pre-order it now on Amazon.